I'm not sure if anyone else is familiar with this phenomenon but I often find myself inheriting makeup from my Mum. Whether it's too dark, shiny, bright, or just plain wrong on her, makeup in my house often is given a lovely new life when i get my grubby mitts on it. 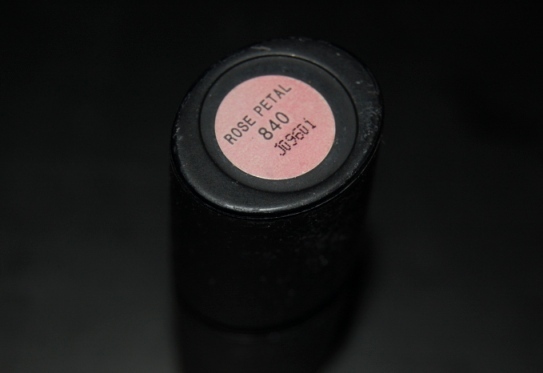 Case in point with this Sleek true colour lipstick in Rose petal. The thing I love about this lipstick is the fact that I can't quite pin down the colour. It's got a bit of pink, a bit of gold and a bit of coral in there but it isn't too garish. 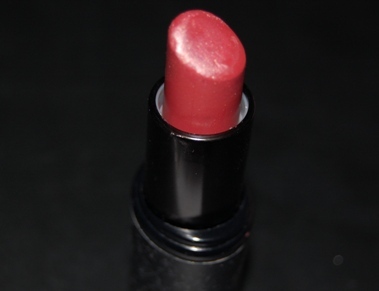 It also applies far better than the previous Sleek lipstick I had tried (Amethsyt). Contrary to my previous experience, this lipstick glides on and provides an instant rose-gold sheen that looks pretty without being too dark or too shiny for an everyday look. Rose petal also doesn't dry my lips out or accentuate any existing damage (looking at you again Amethyst) which will be a godsend over the next few months. 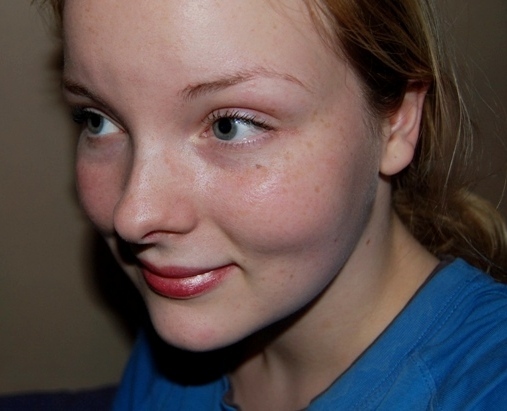 When blotted, the subtle shimmer remained without looking patchy or losing too much colour. In this photo I'm wearing very minimal makeup but I do think that the shade of the lipstick works well with my pink based skin tone. Despite the fact that the lipstick is so shimmery, I don't think it looks too OTT for a daytime look. So when the temperature plummets I will be reaching for this in the mornings as a my-lips-but-warmer shade. Finding everyday lipsticks is 10 times harder than finding statement brights so I'm considering this a success! So naturally when I looked this lipstick up on the Sleek website, it wasn't there! Just when I finally find a lovely autumnal shade, fate snatches it away. I suppose I'll just make the most of it while I can. I'm 100% sure there are highstreet dupes available, but I strongly suggest you all have a dig around to see if you've got a hidden autumnal gem lurking in your makeup bag somewhere! My faith in Sleek lipsticks has definitely been restored. @Fakhra - I'll definitely be looking for dupes! @Nicole - After the last one I tried, I'm converted right back now! @Marika - Thank you so much, I'm glad you like it. I gave you an award on my blog, please go and check it out! I just found your blog yesterday, and I've been reading through your entries. I have to tell you that I think that you are so pretty! @Jacq Thank you so much!